Why does Holland need a membership program? 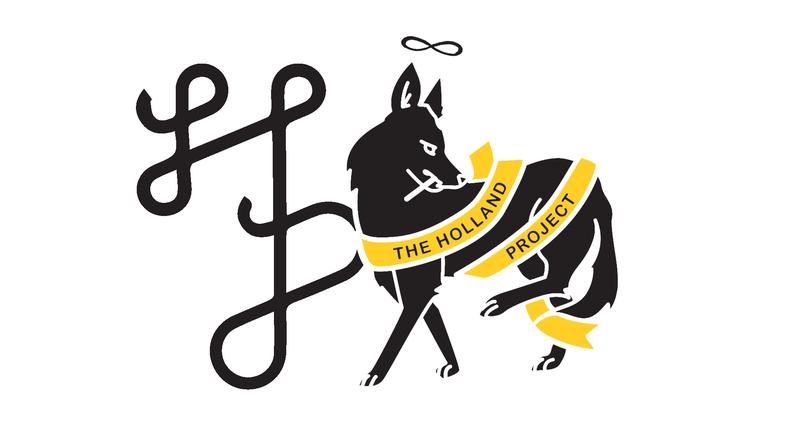 As both a non-profit and an DIY space, The Holland Project relies on the generous support of individuals, small businesses, foundations, and our incredible partners to keep our doors open and continue to serve our community with more than 250 all-ages events and programs per year. All of our programs are affordable for audiences, some are free, and we want it to stay that way. Memberships are an easy way for our patrons to make a gift that fits their budget and helps us produce our affordable all-ages offerings. Holland is a community-driven, volunteer-driven space, in addition to enabling Holland to continue to grow, your membership also makes a statement that you believe spaces like this are important and vital. Memberships help Holland be more sustainable and truly powered by our amazing community members who believe in all-ages art, music, and culture. What are Holland’s basic monthly costs? It costs to run a space, and even though Holland is about as thrifty and resourceful as they come – thanks in part to members who donate time, energy, resources, skills, materials – there are hard costs we need to meet each month to be able to do what we do. Monthly costs include: building fees, utilities (water, sewer, electricity, trash, heat/ac), insurance, internet, security, website, maintenance/supplies (like paint for gallery, cups for water, cleaning stuff, TP/towels, etc), licenses/permits, code compliance and safety stuff, and stipends for program/sound/night staff. Additionally, there are equipment and supply needs that arise from time to time – keeping the sound system working and replacing necessary cords/mics/etc. ; hardware and vinyl for gallery exhibitions and installations; upkeep on regular venue items; and more. Membership not only helps produce the important programs we produce, but helps cover the basic costs of maintaining and operating our venue space where the majority of the programming takes place! What does my monthly donation support? Donations collected through our membership program go into The Holland Project’s General Fund, which pays for our building and utilities, venue maintenance and improvements, program and sound staff, insurance, printing and marketing, equipment, and helps produce programming including gallery exhibitions, internships, workshops, Showprint, film screenings, and music. Can I make a donation to a specific program or event? Recurring monthly memberships are not dedicated to specific programs or events, rather they support Holland’s overall mission, scope and all our all-ages programming (see above!). If you’d rather make a one-time donation verses a recurring donation, that’s totally acceptable! You can do it online or in-person. I’d like to fund a specific program or area of interest, how do I do that? If you’d like to sponsor a specific program or event, Program Sponsorship opportunities exist for: Holland galleries, visual arts programs, performing arts, programs for teens, special events, the library, workshops, and more. Click HERE to learn about available Program Sponsorships or email giving@hollandreno.org to learn more. I pay money at the door or buy tickets to shows, why should I also have a membership? Holland is a DIY space, and unlike a bar or traditional venue, we don’t make any additional money by your presence in our space. Holland traditionally doesn’t make money from ticket sales or what you pay at the door – 80%-100% of each show goes back to the artists and bands that play the show. The remaining 0-20% helps us pay for printing of posters, pay our sound staff and door staff, purchase equipment, keep the lights on and heat (or AC) running and more. The 0-20% doesn’t typically cover Holland’s costs for any given show or event. Your membership helps bridge that gap and helps Holland be more sustainable and secure, while enabling ticket prices to remain affordable, the space to be open and accessible to shows of all sizes and genres, and that maximum support continues to go to the artists and bands that play by giving them the largest possible take. What is the Holland + KWNK Membership? You may choose to donate $5 of your recurring Holland Project membership to KWNK Community Radio, starting at membership plans of $10 per month. That means KWNK gets $5, and Holland gets the rest. This membership plan is designed specifically for patrons who would like to donate to both organizations with one simple monthly payment instead of two. These members receive perks from both organizations. What if I want to donate more than $5/month to KWNK Community Radio? It’s easy! You may sign up for a separate KWNK recurring membership online at kwnkradio.org/donate. In 2014, Holland partnered with the Reno Bike Project and Wolf Pack Radio to launch a community radio station that would eventually become KWNK 97.7FM. The Reno Bike Project holds the FM license; Holland provides organizational, administrative, programmatic and community support; and Wolf Pack has aided in keeping students as an integral part of the KWNK equation, as well as helping to bridge the campus with the community. KWNK exists as a non-profit entity under the Holland umbrella (alongside our buds Laika Press and Spoken Views), and Holland will work with KWNK to achieve some important goals in 2019 – paying off the station debt to go 24 hrs; writing grants to continue to do education and outreach; incorporate staff salaries and legitimize KWNK as a great place to work; triple the on-air hours; do our first LIVE shows; continue to showcase and celebrate our amazing underwriters and community advocates; create a strong and solid membership to make sure KWNK exists long into the future; further develop Reno’s next slate of incredible DJS starting with the talent at Wolf Pack Radio; continue to build both the community studio with much-needed equipment; grow our online/streaming presence; and MORE! We are stronger together and excited to continue this important partnership into the future. Don’t see your question here? Email giving@hollandreno.org for help.